I keep thinking I need to have a lot more fun with this blog. 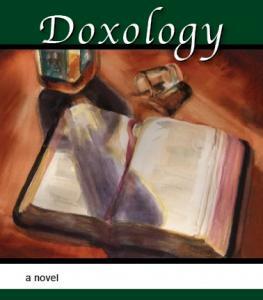 I have just been so busy the last several months getting Doxology ready to release, and then figuring out how to define the message of the book and find and reach out to potential readers, I just haven’t been writing at all. Then when I do have an hour or a few minutes to work on my next essay, all I want to write about is the Presidential race or these occupy protestors and I sit down and write out a few words on a piece of paper and within seconds it’s just huge. What I want to write will clearly take a long time. So it hasn’t been getting done. Friday night we had my book release party. That’s another thing I agonized over, trying to figure out how to do it, how big it should be, should I invite all my friends and all the people who helped me with the book, and my wife’s friends and everybody we know? How could I possibly afford to feed all these people? In the end we decided to have a party at home so I could recognize all the contributors along the way without breaking the bank. Maybe some of you have noticed, times are tough. I figured I’d cook up some big pots of gumbo and ice down some beer and call it good. Make a fire in the backyard firepit for the kids. But my wife, she’s the classy one, wanted to make everything nice so next thing she and another guy are spending half of Thursday and all day Friday getting ready. With all the extra people we invited I had to make 3 giant pots of gumbo, which is a feat in itself. Fortunately, it was a blast. But it all got me thinking about moving on. About how hard it is to get things perfect or to make them exactly like we want them, how important it is to keep putting ourselves and our efforts out there into the world. It’s awfully easy to just keep waiting around to see what will happen, to try to keep perfecting that one sentence before we call it a book. But the fact of the matter is that whether we choose to do it ourselves or not, life keeps moving on. The last couple days have brought this particularly into focus. Those of you who are college football fans will agree this was a big weekend for football. I am happy to say LSU squeaked by Alabama. Very happy. But one of the guys at my party Friday night asked me about it. I told him I couldn’t drink too much at the party (it was also my birthday) because we had to get up so early for my son’s game. Benjamin’s football team of ten year olds had their biggest matchup of the year also on Saturday, and like the Bayou Bengals, they want into Saturday’s game undefeated. But I told my friend, as much as I love LSU, if I had to choose between them winning and my son’s team, my choice would be easy. But of course it’s wasn’t my choice to make. The Tigers won, yes, but my son’s team fell short for the first time all year. The team they played was the number 1 seed and they showed it. The season was going to end either Saturday or next Saturday, this thing that has consumed boys and their parents since the first of August was coming to close very quickly. Still, another week would be great. Early in the game, things looked good. Ben’s team has a superhuman running back. Ten years old, you’ve never seen anything like it. In ten games, I bet the kid has scored 30 touchdowns. Maybe more. If he gets to the outside, he is gone. He broke away once and scored, then on the next possession, as the first half drew to a close, he got away again. I was working the down marker on the field, the play had started at first and ten so I was standing right next to one of the chain guys and we watched the kid scoot down the field and he was just slapping my back over and over again and it was obvious we were both thinking the same thing. Our boys are going to win this game! It was just an unbelievable feeling. But, it wasn’t to be. We found out later that was the first time the other team had even been behind all year. When the final horn blew, the sound told us football was over for the year. They boys won’t suit up again for another 9 months. And when they do, no doubt it won’t be exactly the same team. So this great little dream we’ve had, watching ten year olds play football and win for the last 9 weeks, was over. You always know it’s coming. Still, it’s a little sad. We had signed Ben up for off season baseball training. They kids go to this facility once a week for 15 weeks and work on baseball, starting in November. As we were driving over there, it was dark, the clocks are moved back now and it’s clearly winter, and I was thinking, this is kind of depressing. Now I love baseball but it’s not the first thing on my mind just now. We were really hoping for another week of football. But football’s over, and the winter is a great time to work on baseball. Indoors, of course. We walked in the place and my son wasted no time. We have to love children for that. He wanted to be playing football this week too, but it’s over, so it’s time for something else. Dwelling on it is pointless. He went right in, slipped on his glove, and held it up for another kid to throw him the ball. A few years ago I read a great book by John Ed Bradley, he played football at LSU back in the 70s and he’s a writer now, he wrote a number of novels and wrote about sports, then put together a great memoir: It Never Rains in Tiger Stadium. Of course it actually does rain there, but the story was about what a great experience it was to play college football and how hard it was to stop. He did it and he loved it, and eventually it was over. And that’s how life is. Eventually, things end. My son may not play on a 9-0 football team again. John Ed Bradley says in a way he’s never gotten over that, over being young and strong and clueless of all the heartbreak and agony life would eventually hand over, of being a veritable god in Tiger stadium, a magic place where it never rains. But as hard as it is to move on sometimes, we never stop doing it. May as well make the best of it. This entry was posted in Uncategorized and tagged family, fathers and sons, moving on, storytelling. Bookmark the permalink. Amen. And God help us all! I missed this when you first posted it…I think about this a lot. Moving on…it’s kind of like keeping the “good” dishes for company, not for yourselves. Or what I frequently hear myself telling my daughter, we will wait until “X” happens until we do “Y”. Why exactly? If it is something that will make us happy, that gives us some satisfaction or joy, why do we have to wait for the planets to line up to do these little things. Life will never stop. And those “good” dishes will just sit in the cabinet unused. Just my thought for the evening. PS. I finally fixed my nook so I can reread your book without being interrupted by the software update every 5 minutes….that was frustrating!! Nook is travelling with me for holidays so I can catch up on all reading. Thanks Tanya, you’re right there is no time like the present to let the good times roll. Isn’t there an expression in south Louisiana for that very thing?